You’ve probably seen this written in some form in the press lately: The Witcher 3 raised the bar for videogames. I think it’s accurate. While I enjoyed Dragon Age: Inquisition at the time, I couldn’t go back to it in a post The Witcher 3 world. It seems CD Projekt Red acknowledge this fact, too, as their aspirations for sci-fi RPG Cyberpunk 2077 have increased since the studio’s last game altered the gaming landscape. You know The Witcher 3 is good because it ended up in our selection of PC’s best RPGs. During CD Projekt Red’s latest earnings briefing, where the Polish developer also revealed plans to release another triple-A RPG before 2021, management also discussed Cyberpunk 2077, speaking entusiastically about their goals for the RPG. He also saidCyberpunk 2077 is a “huge game,” with a magnitude “much greater” than The Witcher 3, and the studio has “amazingly large ambitions” for it. CD Projekt Red are doubling their workforce to make sure it matches these ambitions. 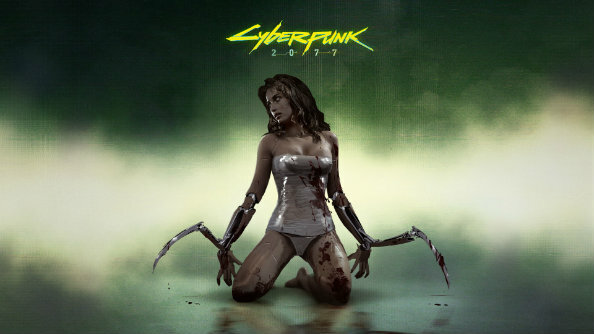 CD Projekt Red have said similar things about Cyberpunk 2077 before, withvisual effects artist Jose Teixeira saying: ““Cyberpunk is far bigger than anything else that CD Projekt Red has done before. Far, far bigger.” He also went on to say Cyberpunk 2077 would “benefit greatly” from the learning experience that was developing The Witcher 3. Let’s hope they’re not setting expectations too high. Cyberpunk 2077 is expected to release sometime before 2077, between 2017-2021.